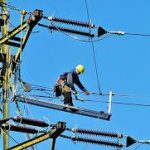 Bus bar: bus bar is a very important component of the substation because it is the common conductor for incoming and outgaining lines. Hence any fault taking place on the bus bar will result in a complete blackout. 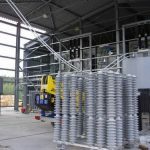 Power transformer: most of the substations have power transformer which steps up or steps down the incoming voltage to the substation transformer at generating substation is step up and step down type at a distribution substation. 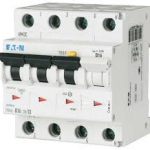 Circuit breaker: circuit breaker is a switching device which can open or close the circuit manually or remotely under normal condition and automatically under a fault condition. 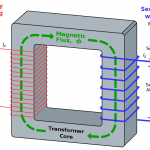 Instrument transformers: bus bar in the substation operates at high voltage and carries very current the measuring instruments and coils are designed to operate at low voltage (110V) and currents (5A) therefore they cannot is stepped down to 5 to 10 amperes which are easily handled by measuring instruments and relay coils. 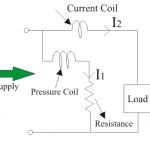 Metering and indicating instruments: there are several instruments used to meter the electrical quantity such as current-voltage frequency etc. generally metering indicating are housed in control room. 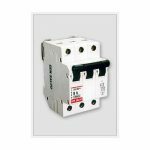 Earthling switch: the main purpose of the earthling switch is to discharge the static charge of the line when the line is open circuited.